As will be shown, Descartes' famous Cogito is nothing but a tautology - an empty expression. The logical status of the Cogito is identical to this meaningless sentence: "A tall man is a man.". It's not logically possible for the Cogito to be invalid - anymore than it is for a tall man to not be a man. No one can think without existing. For Mr. Descartes to cogitate presupposes that he exist, i.e. the premise (I think) assumes the truth of the conclusion (I am). Take the negation of the Cogito: a person thinks but he does not exist, i.e. "I think; therefore, I am not.". In Predicate Calculus of the First Order, the negation of the Cogito can be symbolized as follows. In logic - if the negation of a sentence is necessarily false, then the original sentence cannot be either possibly true or possibly false; it cannot be significant. The original sentence is necessarily true (a tautology) - a degenerate expression. Converting "I think; therefore, I am." into its corresponding conditional becomes "If I think, then I am.". So, the contra-positive of "If I think, then I am." yields the insipid "If I am not, then I think not.". The conditional and the contra-positive are logically equivalent sentences. Therefore, the Cogito (in both its conditional and contra-positive forms) states this blasé triviality - that if I do not exist, then I do not think. "People are mostly sane enough, of course, in the affairs of common life: the getting of food, shelter, and so on. But the moment they attempt any depth or generality of thought, they go mad almost infallibly. The vast majority, of course, adopt the local religious madness, as naturally as they adopt the local dress. But the more powerful minds will, equally infallibly, fall into the worship of some intelligent and dangerous lunatic, such as Plato, or Augustine, or Comte, or Hegel, or Marx." With his Cogito, Descartes pole-vaulted over the admirable (in philosophy) pit of lunatic perfection - only to reach the exhilarating high-bar of logical emptiness. 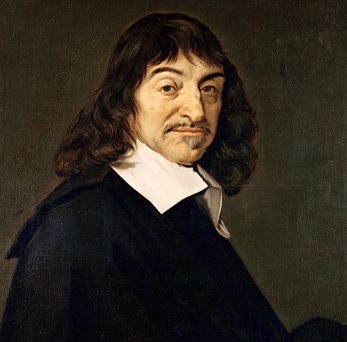 But - had Descartes formulated his Cogito somewhat less vacuously - than the original, he may have seized onto a startling, an almost world-shattering truth, barely concealed in the writings of most, garden-variety philosophers, namely: Cogito ergo fucked.